What's Playing at the Movies This Week? Home > Events > Movies > What's Playing at the Movies This Week? Official Website: What's Playing at the Movies This Week? Find out what's playing at the local Movie Theatres this week. 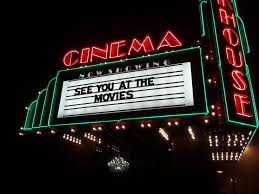 View Current Movies & Times in and near Boston, MA; or enter your specific town to find out what's playing nearest you. Just enter your city or town and movie listings and times are provided.